The new year is less than three days away and to celebrate, we'll be highlighting some drool-worthy footwear styles that will make any New Year's even outfit stand out even more. 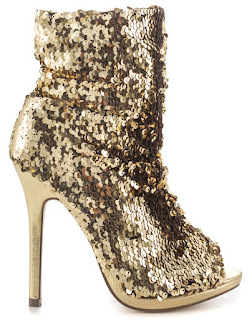 Today we're salivating over the Liliana Glitter Bomb Booties. 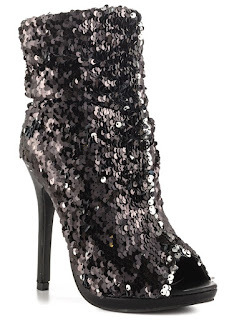 These eye-catching sequin-covered booties boast a slouchy silhouette, open toe, and a sleek 5" stiletto heel. This daring beauty comes available in three striking colors (and sizes are dwindling fast). Grab the black, green hologram, or gold for only $69.99 on heels.com.